Join RCHS for a new History Revealed program series at Waldmann Brewery & Wurstery! History Revealed: A Toast to History at Waldmann will continue our tradition of featuring presentations and tours from the best of local historians, authors and archaeologists, with a wide range of topics. 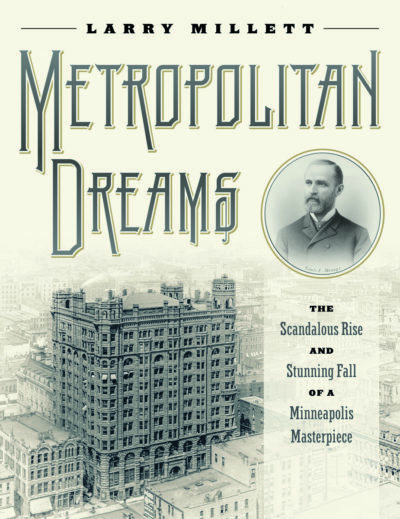 This presentation series will focus on the long traditions of brewing, food, and architecture in Saint Paul and Ramsey County. In addition watch for special fun programs, including trivia contests, music, brewery tours and more! 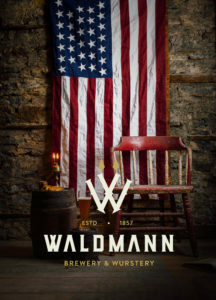 Waldmann Brewery was constructed in the fall of 1857 — six months before Minnesota became a state, nearly four years before the American Civil War began, and at a time when less than 10,000 people lived in Saint Paul. 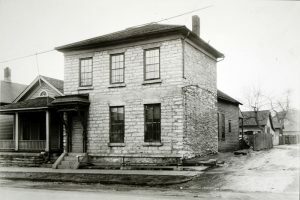 It is the oldest surviving commercial building in the Twin Cities. Restored and re-opened in 2017 for the first time in 154 years, the building still offers wood stoves, tables made from first-growth pine that was part of the original structure, virgin pinewood floors, original forged nails, hand-blown window glass, a large collection of 19th century steamboat chairs, whale oil lamps (burning paraffin), and many period maps, photographs and other memorabilia. We are excited to offer special programs in this beautifully restored historic space. All presentations are free, but reservations are required. Reservation forms will be linked to each presentation on the schedule below. Presentations begin about 7:30-7:45 pm and last about an hour. See the History Revealed information page for updates and a list of programs. Or check our Calendar for History Revealed programs and tours, Gibbs Farm events and programs, and more!